The 2019 CEV Cup going match will be played on Tuesday 19th March at the BLM Group Arena. In the first of the two scheduled matches to award the continental club trophy (second only in importance to the Champions League), Trentino Itas will face the Galatasaray Istanbul. The match will start at 8.30 pm: live on Radio Dolomiti and live streaming on DAZN. 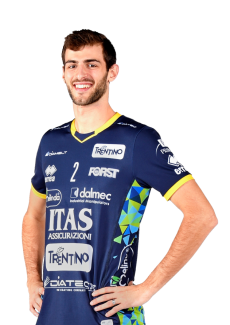 HERE TRENTINO ITAS After obtaining the second place on Sunday evening in Modena, the World Champions are now focusing on the 2019 CEV Cup. 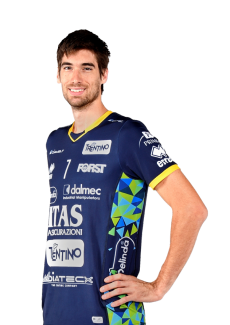 The double challenge that within a week will conclude the participation of Trentino Volley at the European event is also full of difficulties, taking into account the strength of the opponents and the fact that the second match will be played away. Trentino Itas will have to try to get an important result in the going match, with eight victories as many matches in the tournament. Winning also in this case at the BLM Group Arena (where there have been seventeen victories in eighteen matches this season) would mean making the first step to the only trophy that the team doesn't have; otherwise the situation would inevitably become more complicated: Galatasaray will then have the advantage of playing the second match (and even the eventual golden set) at home in the return match on Tuesday 26th March. Lisinac is still out of the roster and the yellow-blue team will complete its preparation for the match with some training sessions at the BLM Group Arena today in the afternoon and on Tuesday morning. 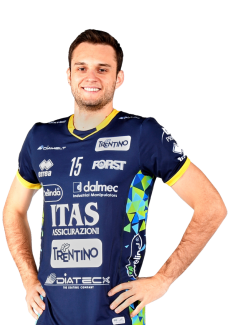 Five players have played one or more European Club finals: the list includes Candellaro, Giannelli, Grebennikov, Nelli and Kovacevic, the only one to have won one final (Challenge Cup 2013 against Verona). 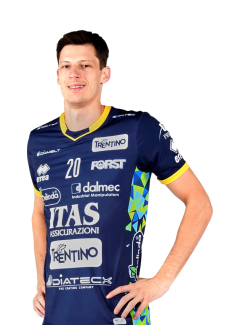 THE SEVENTH EUROPEAN FINAL, THE THIRTY-FOURTH IN THE HISTORY OF CLUB For Trentino Volley it is the seventh European final in its history, the twelfth international in the last ten years. 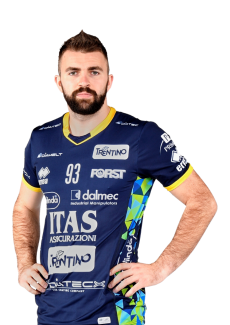 It will be the thirty-fourth of all; we also note the twenty-two last games played in the national field: three played against Piacenza in the 2008, 2009 and 2013 championship playoffs, six played against Cuneo (Coppa Italia 2010 and 2011, V-Day 2010 and 2011, Supercoppa Italiana 2010 and 2011), seven played against Macerata (V-Day 2012, Play Off 2017, Coppa Italia 2012 and 2017, Supercoppa Italiana 2008, 2012 and 2013) and five against Modena (Coppa Italia 2015 and 2016, championship final 2015, 2015 and 2018 Supercoppa Italiana). 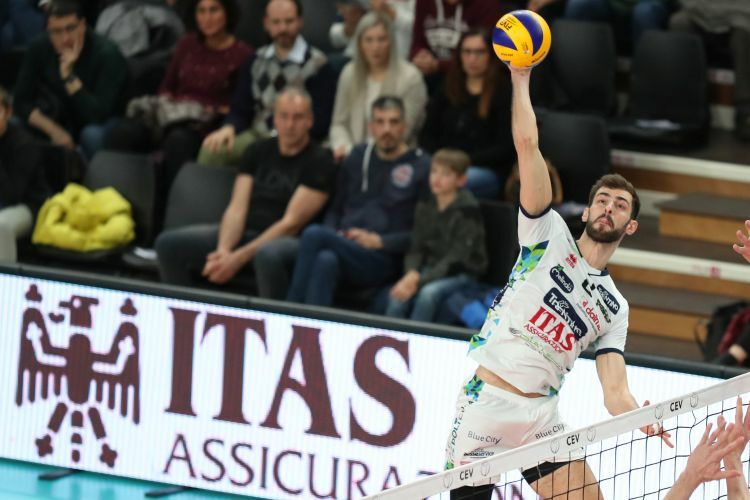 The team have won seventeen matches on a total of thirty-three: the peculiarity is that Trentino Volley has so far won eight of the eleven international finals in which it took part. 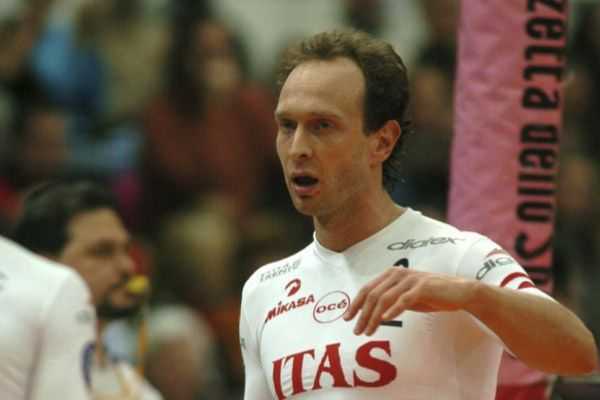 In addition to the Champions League (2009, 2010 and 2011) there are five finals in the World Cup: four played in Doha against Belchatow (3-0 on 8th November 2009 and 3-1 on 21st December 2010), Jastrzebski (3-1 on 14th October 2011) and Cruzeiro ( 3-0 on 19th October 2012) and the latest in Czestochowa (on 2nd December 2018) against Civitanova. 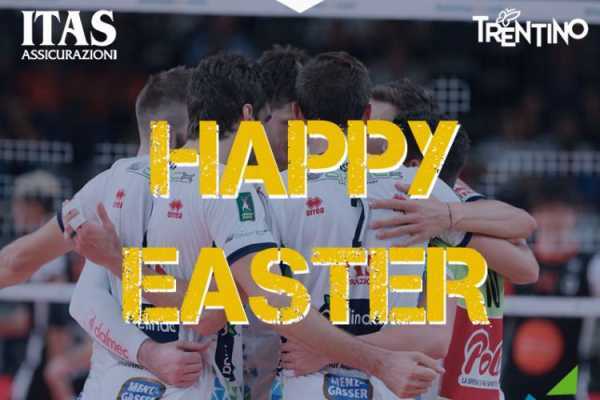 EUROPEAN MATCHES OF TRENTINO VOLLEY Tuesday night Trentino Volley will play 123rd match in European Cups (so far it has played 84 matches in the Champions League, 3 in Top Teams and 35 in CEV): 98 victories and 24 defeats, the last one on 12th April 2018 at home against Civitanova (return match of Playoffs 6). In the three previous participation in the CEV Cup, the team stopped at the round of 16 in the 2005 edition, after a double 3-1 defeat with the Halkbank Ankara, and in the 2015 and 2017 edition only in the final, after the defeat at the golden set in Moscow by Dinamo and then by Tours. The BLM Group Arena will host the 58th international competition of its history (one of the most important), after having recorded 49 victories and 8 defeats. The Turkish teams have played a total of four games at the BLM Group Arena and only in one match they won (7th December 2004, 3-1 for Ankara in the CEV Cup in the round of 16). THE OPPONENTS Galatasaray, the symbolic team of the European side of Istanbul, arrives at this match after losing the final of the 2019 Turkish Cup at the tie-break on Sunday night. This team denied the possibility to gain a trophy that has been missing for too long. In fact, the last of the four championships won dates back to 1989. 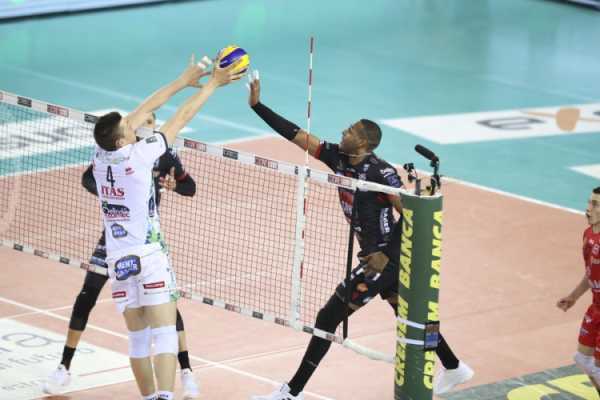 However the current one is its ninth participation in the history in the CEV Cup, obtained thanks to the fourth place in the previous season in the Turkish championship, where it was eliminated in two semi-final matches by Izmir. The best European result ever is the Challenge Cup semifinal, played in the 2017 edition lost against Novy Urengoy. 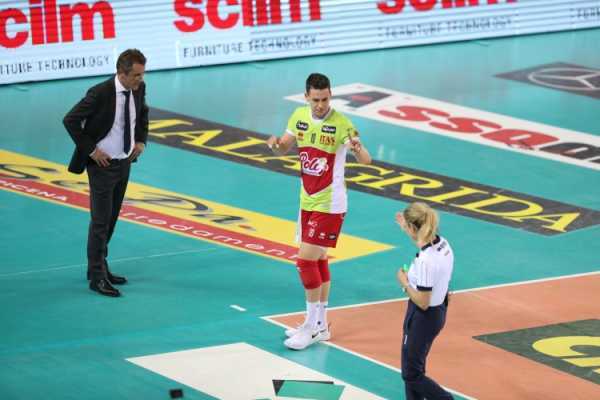 To reach the final in the current competition, the team eliminated the Croats of Mladost Zagreb (3-0 and 3-1) in the round of 32, the Czechs of Liberec (3-2 and 3-0) in the round of 16, the Belgians of Aalst in the quarterfinals (3-0 and 2-3) and finally the Russians of Kemerovo in the semifinals (1-3 and 3-1, before the golden set). 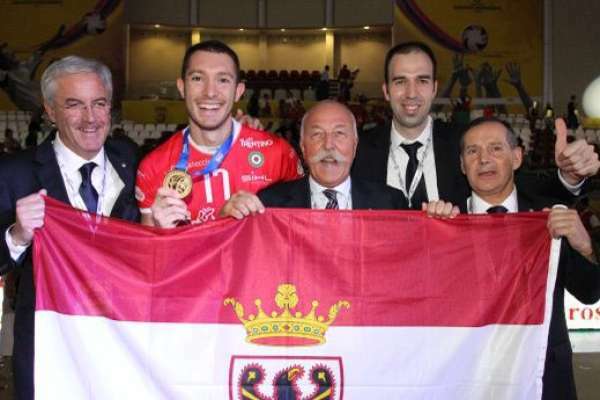 He is currently in third place in the national championship with eleven points behind Halkbank at the top, thanks to sixteen victories in twenty-one games. 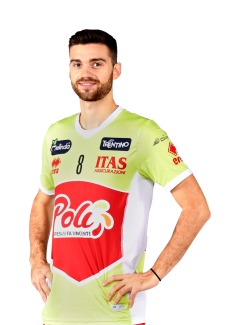 In the roster coached by Nedin Ozbey the best known names are Oleg Antonov (spiker, in Trento between 2015 and 2017), the Estonian opposite Venno, the Hungarian Gergye (ex Paris and Friedrichshafen) and the Canadian Duff. 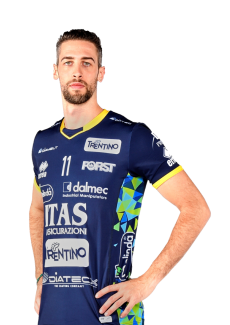 In the rest of the sextet there are Turkish players with international experience such as the Keskin setter (ex opponent of Trentino Volley in 2017 with the shirt of Fenerbahce), the middle-blocker Ulu and the libero Cakir. The Galatasaray Istanbul roster: 1. Selcuk Keskin (p), 2. Muzaffer Yonet (p), 3. Melih Siratca (s), 4. Ertugrul Gazi Metin (c), 5. Oleg Antonov (s), 6. 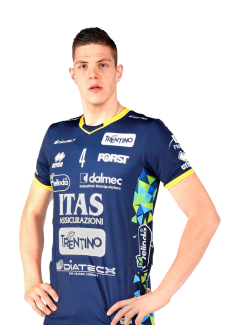 Oliver Venno (o), 7. Justin William Duff (c), 8. Onurcan Cakir (l), 9. Yasin Aydin (o), 10. Can Ayvazoglu (l), 11. Ozgur Turken, (s), 12. Emin Gok (c), 14. Selim Kalayci (o), 15. Roland Gergye (s), 16. Ufuk Minici (o), 17. Dogukan Ulu (c). Coach Nedim Ozbey. THE FORMULA The 2019 CEV Cup is awarded in the final after two games, keeping the rules of the previous five double rounds (going and returm matches) of single-elimination tournaments (Thirty-second, Sixteenth, Eighth, Quarter, Semi-finals) unchanged: the team that gets the most points during the two races, assigned as in the championship, wins the trophy: 3 for a 3-0 victory or 3-1 victory, 2 for tie-break victory, 1 for tie-break defeat (golden set at 15 in the event of a tie on points as Playoffs 12 of CEV Champions League). The return match will be played in Turkey on Tuesday 26th March at 6:00 pm (Italian time). 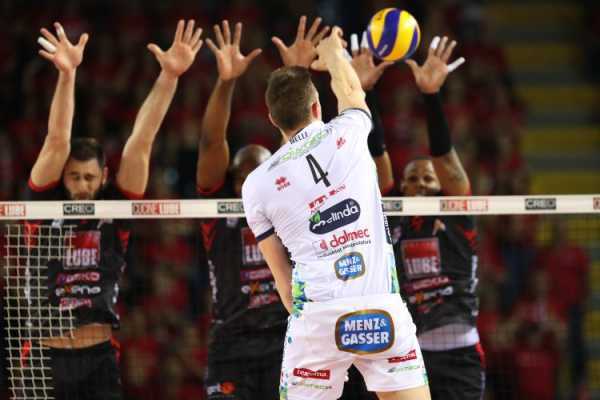 PREVIOUS MATCHES Tuesday will be the first absolute match in the history of the two companies; against Turkish teams, however, Trentino Volley already played nine previous matches, also taking into account the five matches played against Izmir (all won), the two played against Halkbank Ankara (both lost) and Fenerbahce (1-1): seven victories and two defeats. REFEREES The race will be directed by the Polish Marcin Herbik, first referee from Warsaw, and by the French Ehsan Rejaeyan (from Lyon). 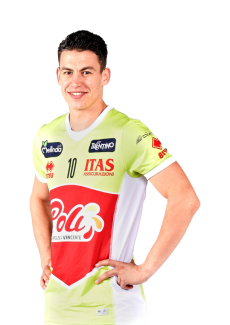 Herbik directed Trentino Volley-Axis-Lennik on 3rd March 2016, return match of the Playoffs 12 of the CEV Champions League (won 3-0 by Trentino Volley). TICKETS The race is not included in the 2018/19 season ticket; seasonal ticket owners had time to confirm thei place at the BLM Group Arena until Thursday 14th March. 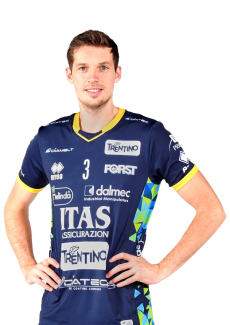 Tickets will be available until 5pm on Tuesday at Trentino Volley (via Trener 2 in Trento) and Promoevent, in via Suffragio 10 in Trento, and at any time on the internet by clicking www.vivaticket.it/ita/event/trentino-itas-galatasaray/128202. The tickets will also be available on Tuesday evening at the ticket offices of the BLM Group Arena from 7.30pm, when also the gates to the arena will be opened. 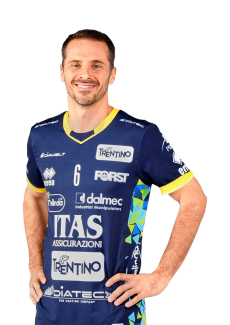 “ITAS DAY” On Sunday at the BLM Group Arena will be celebrated the “ITAS DAY”: to celebrate the partnership of the main sponsor Trentino Volley reserved all the est stand to the employees of the ITAS Group. Also the prize to the best player will be sponsored ITAS, chosen thanks to the votes of the journalists in the press box.